Sounds familiar? Growing up, it’s my favorite Sesame Street segment. At several recent meetings with physician groups and administrators who were getting ready to open up an infusion center, it became very obvious they were confused about the following. 1. 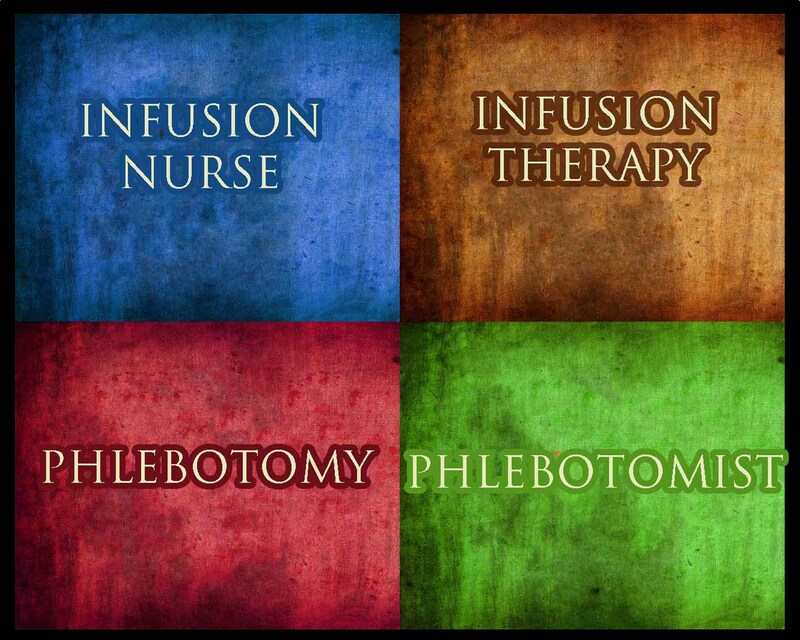 An infusion nurse (aka IV nurse) is not the same as a phlebotomist. An infusion nurse inserts an IV catheter into A vein to “infuse” solutions or medications (Infusion therapy). On occasion, an infusion nurse may draw blood from the IV catheter immediately after insertion then leaves the IV catheter dwelling in the veins so a patient can receive IV solutions or IV medications . A phlebotomist performs a blood drawing procedure called “phlebotomy” where only the tip of a needle is inserted into a vein to draw out blood, then the needle is removed when all blood tubes have been collected. Phlebotomists are medical professionals who draw blood from patients for various lab tests and procedures. A high school graduate or college student could take a course at a local technical or vocational school and learn phlebotomy. Many professionals who plan to become a nurse or a doctor often start out by working in a medical office or hospital as a phlebotomist. Because phlebotomy entails a fairly short training period, and because phlebotomist jobs are relatively easy to find and obtain, phlebotomy is a great way for someone to try out the medical profession. Many physician offices have medical assistants or phlebotomists on staff so when planning to offer infusion therapy services in their offices, they think they can leverage and save money by utilizing these unlicensed medical personnel. There shouldn’t be any confusion about this…. One of these things just doesn’t belong, can you tell which thing is not like the others…. by the time I finish my song? as a phlebotomist (working on my bachelors of science in medical technology), i have to seriously wonder who gets those two confused?